This natural moisturizer is like the fountain of youth, captured inside a jar and waiting just for you! 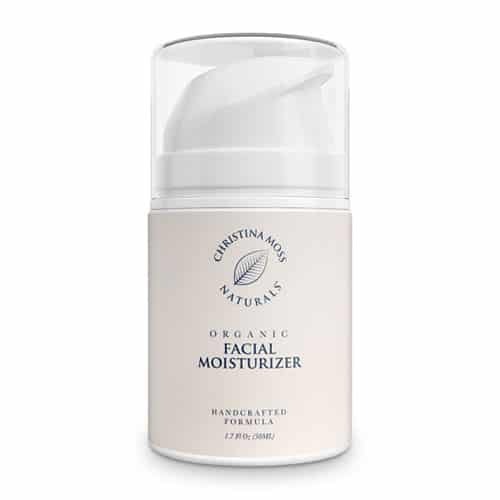 The perfect alternative to those other moisturizers that contain all of those unnecessary fillers, artificial preservatives and harmful chemicals, this Organic Facial Moisturizer uses the finest natural ingredients to keep your loved one’s skin looking great. Featuring a handcrafted formula that goes on smoothly and absorbs without leaving a greasy residue, this anti-aging product is the perfect blend for all skin types, making it an excellent idea for Christmas gifts for women of any age. It is specially designed to help repair skin damage, reduce the appearance of fine lines and wrinkles, and leave your loved one’s skin looking radiant and youthful. Fabulous Christmas gifts for women who are environmentally conscious, that lovely lady in your life will feel wonderful knowing that you presented her with a truly organic facial moisturizer that is packed inside of a jar made from recycled plastic and equipped with biodegradable labeling. A wonderful way to help her achieve that healthy, natural glow this holiday season, the Organic Facial Moisturizer makes a creative stocking stuffer as well! Makes an excellent stocking stuffer for that lucky lady on your list this Christmas!